Niagara College of Applied Arts and Technology received six consecutive number-one rankings in overall student satisfaction among all Ontario colleges. The results marked the ninth year in a row that Niagara College has been at or near the top in overall student satisfaction. Niagara offers more than 100 post-secondary and graduate certificate programmes. Areas of specialisation include food and wine sciences, advanced technology, media, applied health and community safety. 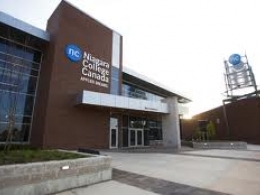 Niagara College has over 40 university transfer agreements in place and has a number of Joint Programmes with several institutions in Ontario, Alberta, BC, and New Brunswick. Niagara also has international university partners in New York State, Michigan, Australia, the United Arab Emirates and Chile. The College has three campuses: the Welland Campus, the Niagara-on-the-Lake campus, and the Maid of the Mist Campus located in Niagara Falls. The Welland Campus occupies 100 acres with plenty of space and greenery. It is close to shopping and entertainment areas. The campus offers a full range of services including a fitness and sports centre, student activity centre, open computer labs, campus store, library and newly renovated cafeteria. Popular programmes at the Welland Campus include broadcasting, communications, health and community studies, early childhood education, and policing. It is home to all of the technology programmes, as well as the new Welland YMCA and the Niagara Children's Safety Village. In a more natural setting, the Niagara-on-the-Lake Campus features a state-of-the-art greenhouse centre, the new Niagara Waters Spa, the Niagara Culinary Istitute, and the famous Niagara College Teaching Winery. It is located at the base of the Niagara Escarpment, a World Biosphere Reserve. Situated in the wetlands, among vineyards and community gardens, the ecological setting is a living laboratory for the college's thriving environmental and horticulture programmes. Within walking distance from the iconic Niagara Falls, the Maid of the Mist Campus is in the heart of the tourism district. It is home to the Tourism Industry Development Centre (TIDC). This campus is where all the tourism related courses are held, such as hospitality, culinary techniques, and wine courses. For the September start date, all applications received before February 1 will be considered equally. Applications will still be accpeted after February 1, but they will be evaluated on a first-come, first-served basis. Applications for open programmes will be accepted until the start of the classes.